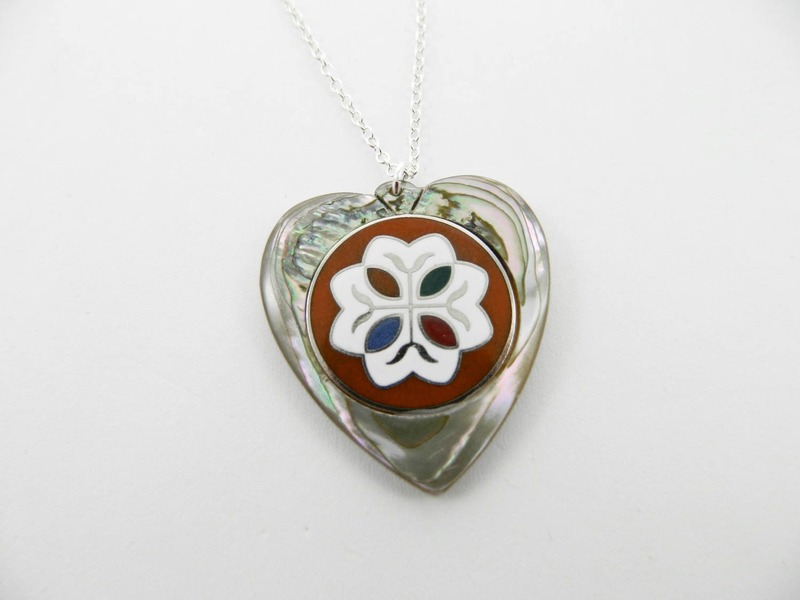 Vintage Abalone Shell Heart with Lucky Charm. 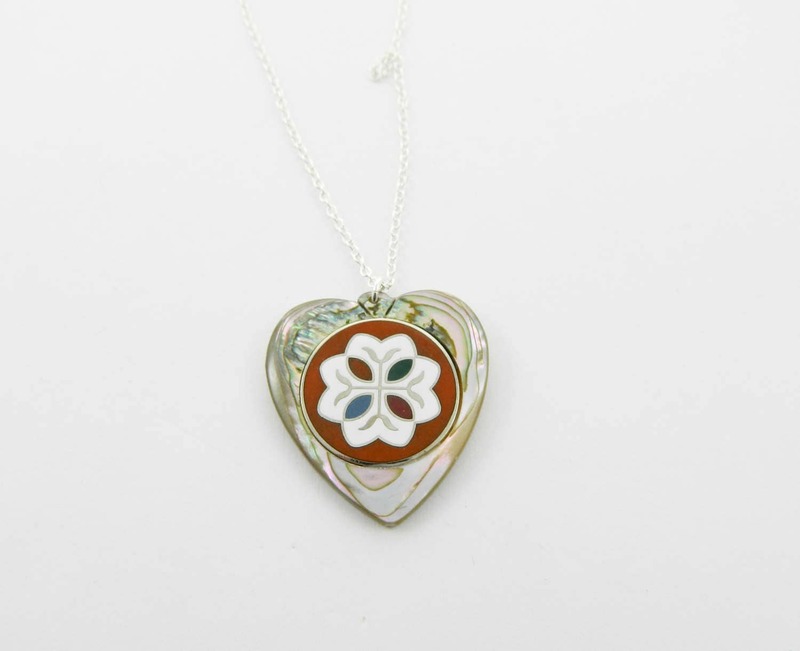 Rare Hoffman Enamel Charm set in Abalone Shell Heart Pendant. Chain: 18" Sterling Silver Filled Chain with lobster claw closure.